Ensuring that the Electrical Contractor you employ is qualified to undertake work on your home is one of the biggest concerns people have when deciding on a contractor. Because of this the IET have developed the Wiring Regulations, now in its 17th edition, which states that all electrical installations must be tested and a comprehensive certificate completed. This must then be issued to the customer on completion of the contract. You should keep this certificate safe, along with a copy of the test results, as they demonstrate that any electrical work undertaken in your home has been completed to the standards set by the Building Regulations and this evidence may be required if you ever intend to sell your home. 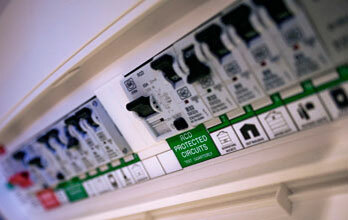 Electrical certificates are split into two types MINOR WORKS and ELECTRICAL INSTALLATION CERTIFICATES (EIC). A minor works certificate is completed for any contract that is an alteration or addition to an existing circuit whereas an Electrical Installation Certificate is completed for any contract that includes new circuits or the entire replacement or upgrade of an existing circuit. 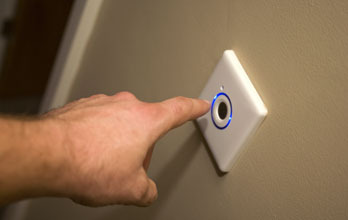 An Electrical Installation Certificate includes dozens of individual tests and checks that ensure that the work carried out on your installation is safe, giving you the peace of mind that you deserve.